Benefit from the experience and assurance of having a local specialist tax agent and accountant supporting your business. 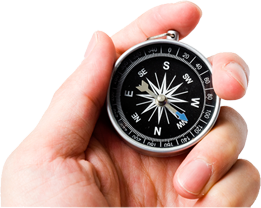 Compass Accounting was established in 2009, and offers valuable experience in accountancy and taxation. Whether you are an individual, family or business based in Adelaide, you can benefit from the tailor-made taxation, accounting and business solutions our experts provide. We take the time to understand your personal taxation and business circumstances so you can stay on top of all your affairs. Compass Accounting was established in 2009, and offers experience in accountancy and taxation. Whether you are an individual, family or business based in Adelaide, you can benefit from the tailor-made taxation, accounting and business solutions our experts provide. We take the time to understand your personal taxation and business circumstances so you can stay on top of all your affairs. Financial statements for individuals, partnerships, trusts, companies and super funds. We work to meet your tax needs, for individuals, partnerships, trusts or companies. We are committed to providing high quality audit & assurance services. Our experts take the hassle out of bookkeeping, so you can focus on what you do best. Detailed advice when you need it: tax planning, investments, business start up, and more. We offer professional outsourcing services to help your business.